A service to honor the life of Mrs. Mary Ellen Johnson, our loving mother, will be at 1 p.m. Wednesday, Nov. 15 at Trinity Baptist Church. Burial will follow at Central Baptist Church Cemetery. Mother was 83 years of age and a resident of Natchitoches. 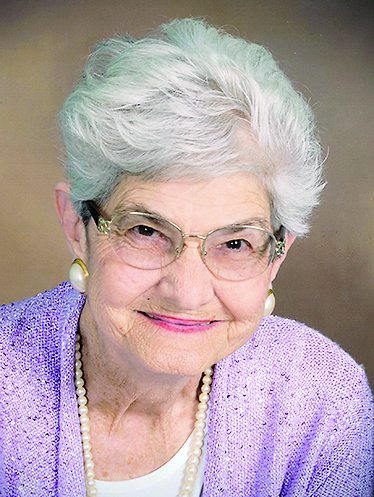 She passed away peacefully Nov. 12, 2017, at her residence in Natchitoches. She was born March 14, 1934, to John Edward Royston and Lela Hines Royston in Natchitoches. Mom dedicated her life to teaching. She earned a Bachelor of Arts in Education, a Master of Arts in Education and a Master of Arts in Special Education. After four years working in elementary education she spent 38 years working as a Special Education Teacher in Natchitoches Parish. Throughout her 40+ years career she taught over 600 children and touched the lives of many more. Mary was the Teacher of the Year for Natchitoches Parish in 1987. Mom was a longtime volunteer and coach with the Special Olympics and served as an equestrian coach for the Horseback for Handicapped program through Northwestern University for five years. She also served as a Court Appointed Special Advocate (CASA) caseworker for five years, supporting youth and families seeking to adopt. We were so proud of Mom when she won the Mayor’s Award in 1992 for her efforts with the CASA program. Mother was a woman of strong faith and a long-time member of Trinity Baptist Church. She loved fellowship with her church family. She gave back to her church community teaching adult Sunday school for three years and youth Sunday school for two years. She also served as the church treasurer for five years. Mom was a loving mother to us, grandmother, great-grandmother and wife. She is reunited in Heaven with her parents, John Edward Royston and Lela Hines Royston; and her brothers and sisters, Hoyt Royston, Sammy Royston, Lessie May Royston Dutile, Verna Lee Royston Schmidt, Elmer Royston, Thelma Royston Brown and Lenola Royston Carpenter; and her loving husband of 37 years, Philip Johnson. She is survived by her children, Lyle Arvis “Arvy” Ross Jr. and wife Christine of Ragley, Rose Mary Ross Rowell and husband Gary of Charlotte, N.C., and John Crocker Ross of Shreveport; and stepson, Gerald Johnson of Dothan, Ala. She was blessed with four grandchildren and five great-grandchildren. The family would like to express special thanks and gratitude to Mary’s niece, Mrs. Betty Ann Lockhart, Mrs. Juanita Howell, Ms. Maggie Methvin and the entire Trinity Baptist Church family. Moms’ nephews will serve as pallbearers, Eddie Carpenter, Turner Lawson, Junior Reed, Jeff Shivers, Vernie Stengel and Wiley Williamson. Honorary pallbearers will be Gordan Dutile, Ralph Cheek and Jimmy Galloway.